Trying to figure out how to install WordPress? There are a few different methods you can use, each of which I’ll give an in-depth guide for. First of all, why are there different methods for installing WordPress in the first place? 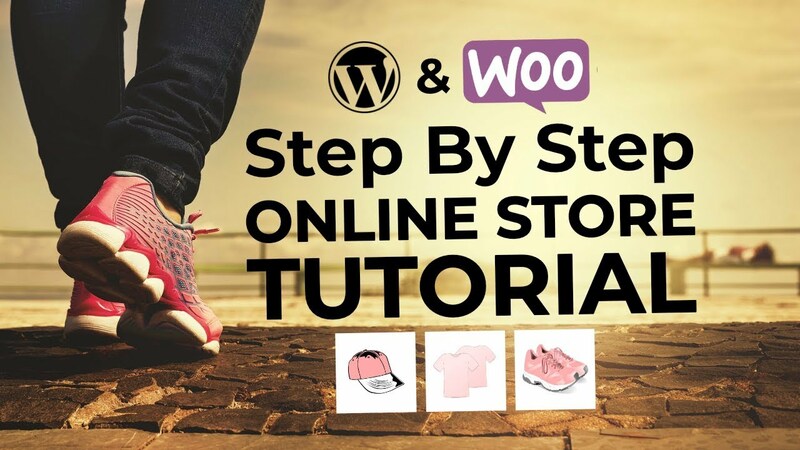 The answer is simple… Because of WordPress’ popularity, there are a number of helper tools that make it easier to install the platform on different servers and hosts. As a result, there’s not simply one choice for how to install WordPress but multiple alternative ones. 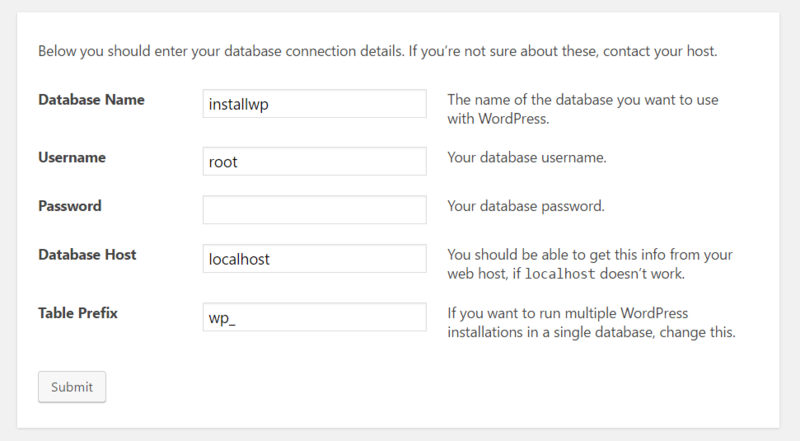 In this post, I’ll give you a tutorial for each of the common methods for installing WordPress. To give you some guidance for which method you should choose, I’ve ordered the guides from easiest to most time consuming. So if you’re just looking for the quickest and easiest way to install WordPress, start at the top! The easiest way to install WordPress is to just pick a host that does it for you. Nowadays, many WordPress-specific hosts will let you choose to have WordPress pre-installed. 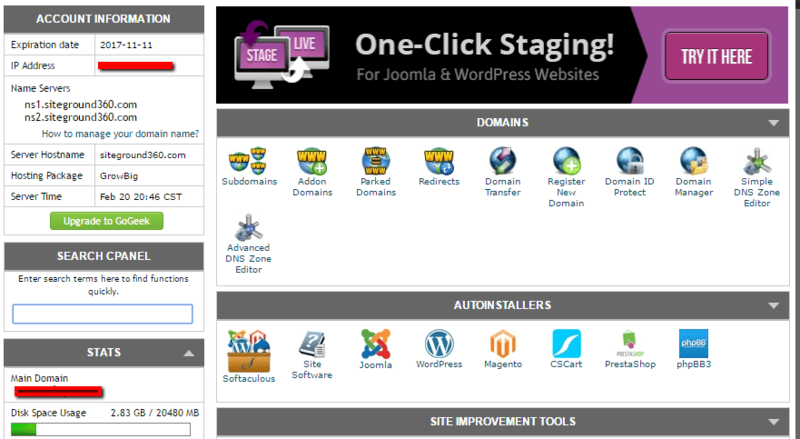 That means once you sign up for hosting, you can jump straight into your WordPress site. 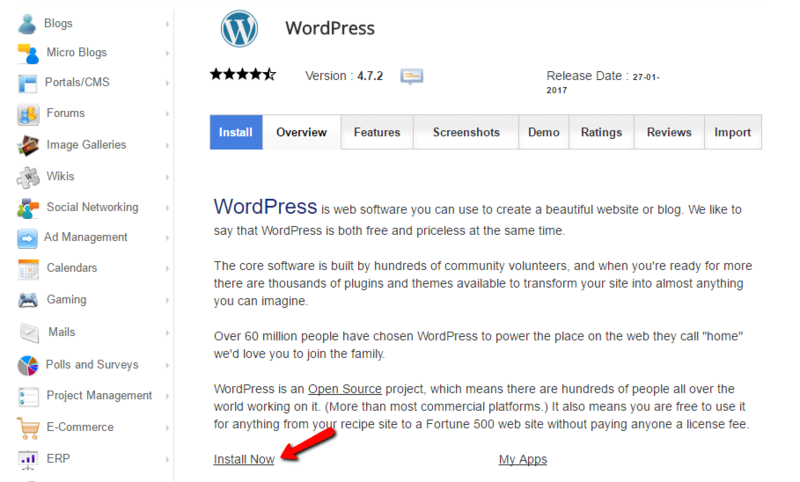 The whole question of “how to install WordPress” is irrelevant in such a case! 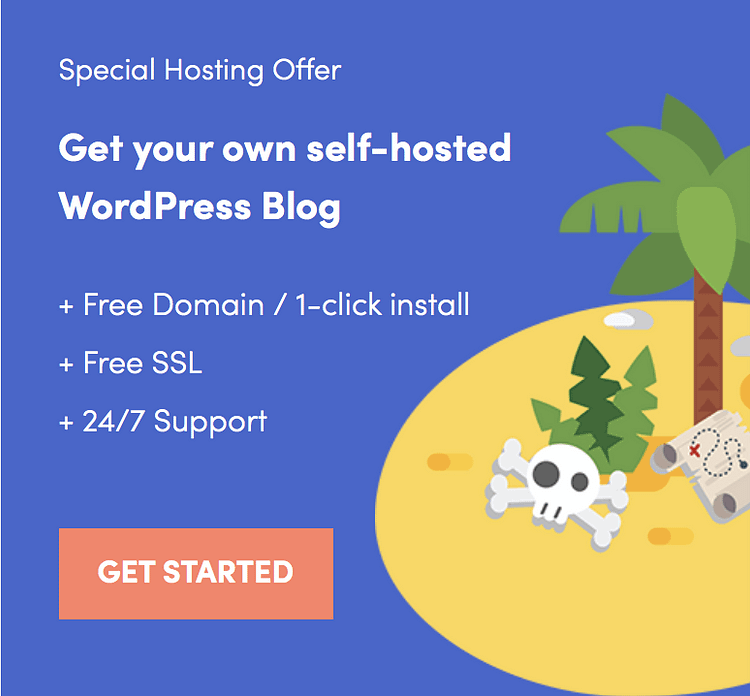 Bluehost – affordable and comes with pre-installed WordPress. Starts from $2.95 a month for one site using this link. SiteGround – has tons of WordPress-specific features that make your life easier. Starts from $3.95 a month for one site. Also, many managed WordPress hosts will pre-install WordPress for you, but the price tags on those can be higher. In your cPanel interface, your host should give you something called an autoinstaller. 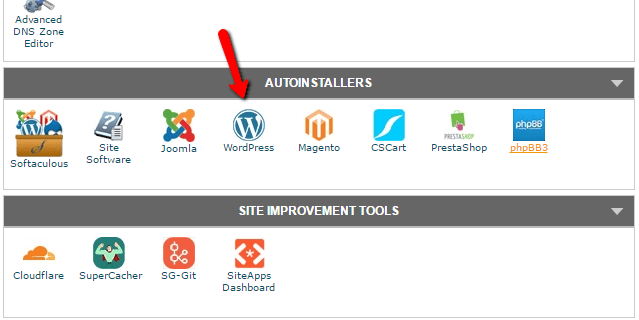 Autoinstallers basically automate the full WordPress install process that I’ll outline in the next section. So instead of needing to do everything manually, you just input some basic information, click a button, and the autoinstaller installs WordPress for you. 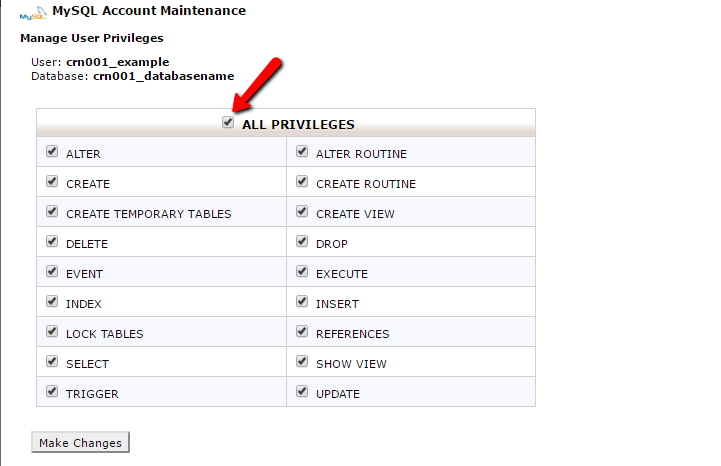 And while there might be a few minor interface differences, all of the autoinstallers more or less function the same. So while I’ll show you an example using Softaculous, the exact interface for your autoinstaller might look a tiny bit different. 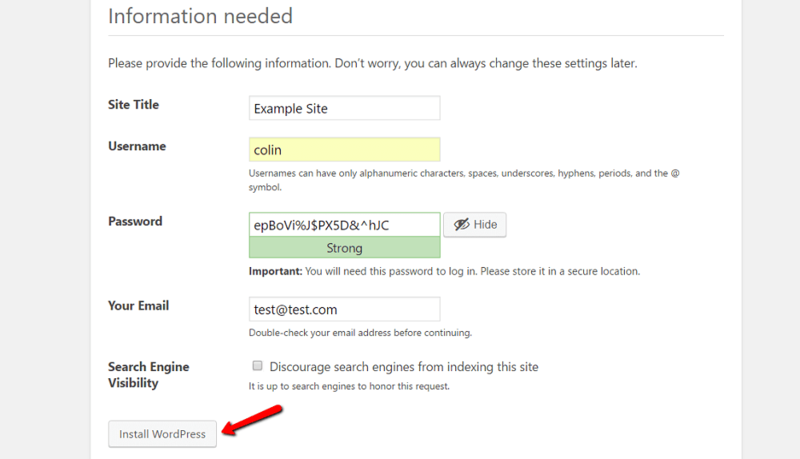 Next, you’ll need to enter details for your WordPress install. Again, this interface should generally look the same no matter which autoinstaller you’re using. For Protocol, if you’re using an SSL certificate, you should choose HTTPS. Otherwise, you should choose HTTP. Unless you purposefully installed an SSL Certificate, the default is HTTP. Next, choose the directory in which you want to install WordPress. 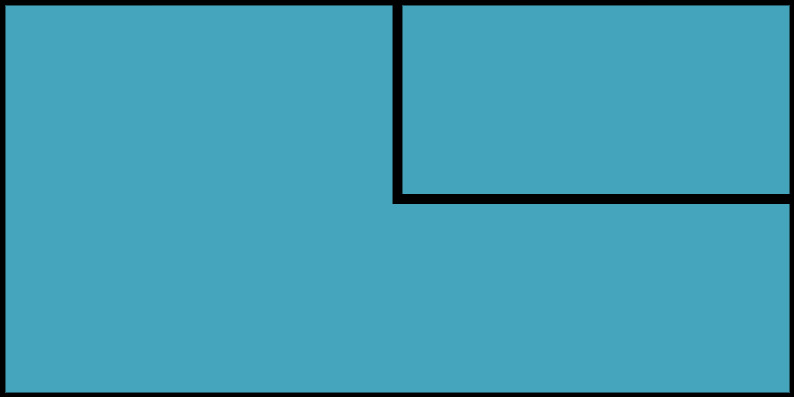 For 99% of situations, you should leave this field blank. Leaving it empty means WordPress will be installed at your main domain. That is, if your domain is YOURDOMAIN.com, then WordPress will be installed at YOURDOMAIN.com rather than something like YOURDOMAIN.com/mywpsite. Do not enable WordPress Multisite unless you’re specifically trying to create a multisite network. Depending on the specific autoinstaller that you’re using, you might see a few other options as well. You can safely ignore these. That is, it’s fine to leave anything I didn’t cover as the defaults. Once you’ve filled out everything, make sure to click Install at the bottom of the screen. It might take a minute or so to run. Then, you should get a confirmation. 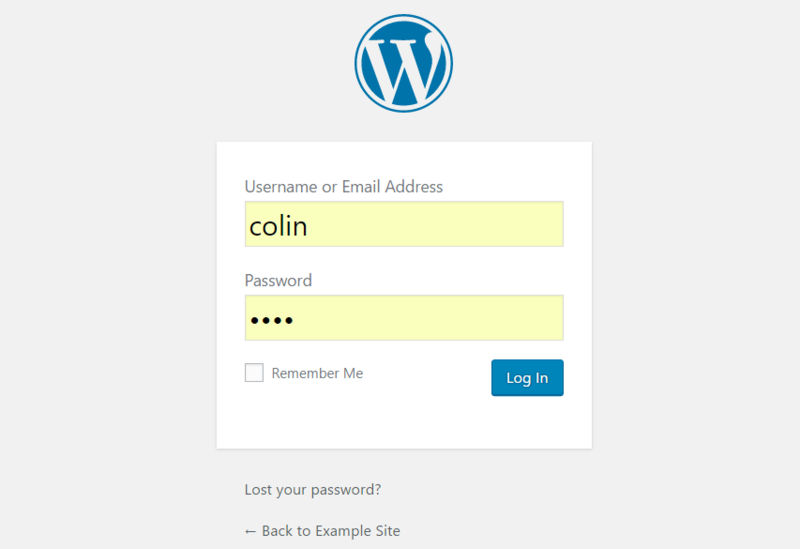 You can log into your brand new WordPress install by going to YOURDOMAIN.com/wp-admin. Personally, I don’t really see a need to use this process anymore because of how simple and ubiquitous the autoinstallers above are. 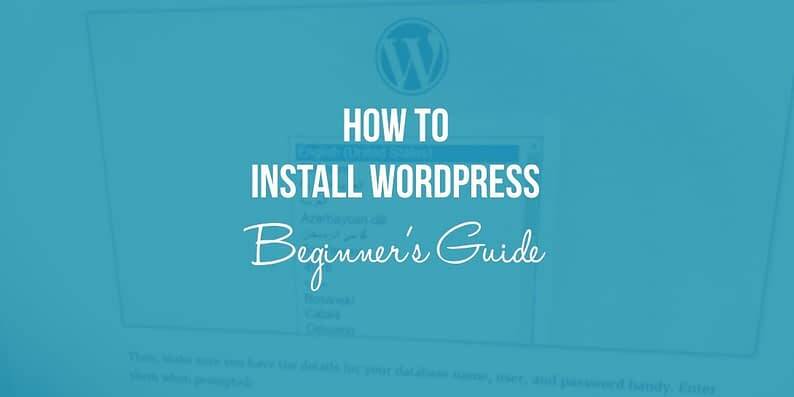 But if you want to learn how to install WordPress manually, keep on reading. If you’re a beginner, just use the autoinstaller process I outlined above. To run the famous 5-minute install, you will need an FTP program to upload files. 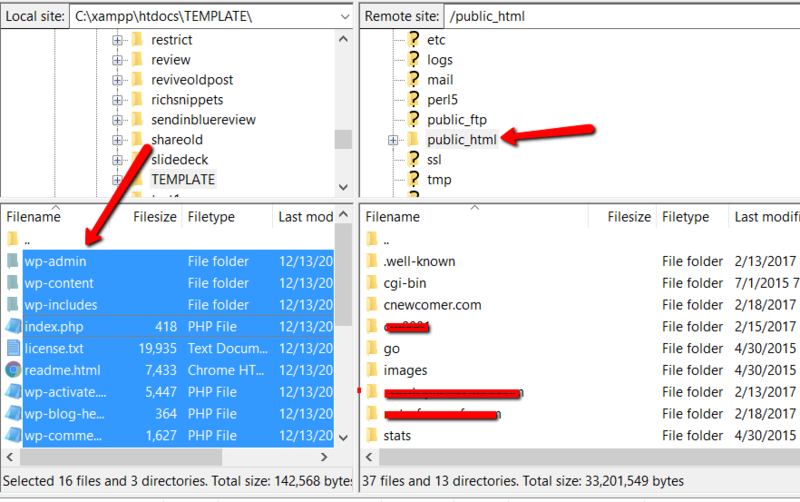 I use FileZilla, but you there are plenty of quality free FTP programs. The name can be whatever you want – just make sure that you remember it. You’ll need it later on. If you want to create a sandbox where you can learn more about WordPress, you can install WordPress on your own computer. You’ll have a fully functioning WordPress install that you can play around with, it just won’t be accessible to anyone else. That is, it will only be available on your own computer. This is also known as a “localhost”. Again, if you’re a beginner, just use the autoinstaller that your host (hopefully) provides. It’s easy, fast, and no different than installing WordPress yourself. Or better yet, choose a host that comes with WordPress pre-installed. If you want to learn how to install WordPress manually just for the pride of it, then go ahead and try. But I promise you that after you’ve installed WordPress manually for the hundredth time, you’ll become a big fan of autoinstallers! As always, don’t hesitate to ask if you’re having any trouble installing WordPress. We’re happy to help.